Boiler Room just shared a stunning and poignant new spoken word/rap/poetry-video from Moor Mother, aka Philly-based noise artist, activist and wordsmith Camae Ayewa. Watch below - filmed by Sonny Jake. 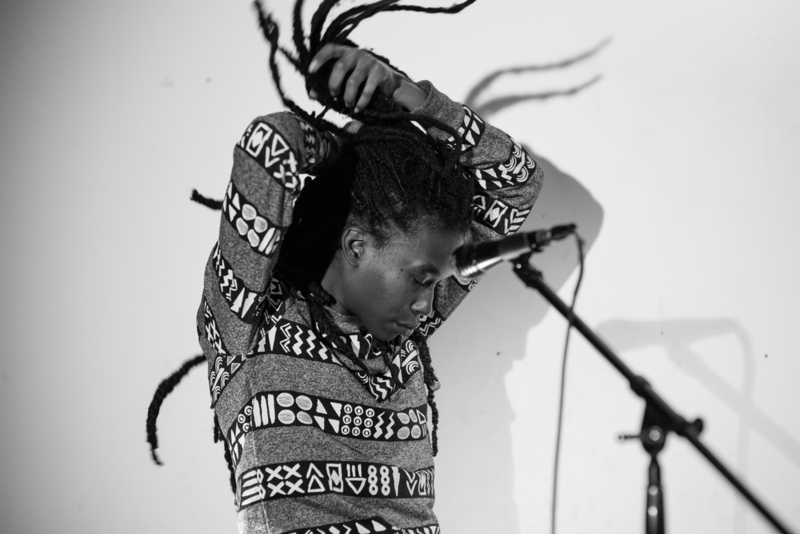 Moor Mother is curated by Jerusalem In My Heart for Le Guess Who? 2017, together with a.o. Linda Sharrock, Matana Roberts, Alanis Obomsawin, Nadah El Shazly, Klein, Abdel Karim Shaar, and Dedekind Cut.